Can you tell us a bit about your organization and your role? Mars Incorporated is one of the top food companies in the world with businesses around the globe, employing over 80,000 Associates. I work for the Petcare part of the business. 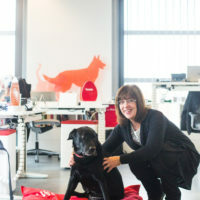 I’m based in our headquarters in Brussels, Belgium but Mars Petcare has more than 35,000 Associates across 50 countries. You may be familiar with some of our brands such as PEDIGREE®, ROYAL CANIN®, WHISKAS®, BANFIELD® Pet Hospital, CESAR®, NUTRO®, SHEBA®, DREAMIES™. We believe that pets make the world better for people, so we make it our vision to make “A Better World for Pets”. Our Petcare Associates around the world are driven by a belief that pets make us happier and enrich our daily lives. One way we bring this to life is through pet-friendly offices. Most of our offices now welcome pets and we are working towards all of our sites becoming pet-friendly, with well thought-out policies in place. For the last seven years I have been heading the global People and Organization team (usually known as HR in other organizations) with overall accountability for the Petcare People and Organization strategy. My main areas of focus are building an organization that can support our business aspirations and driving the talent agenda – of course that includes diversity and inclusion! Why is diversity so important to your organization? There is lots of data that shows a correlation between diversity and improved top and bottom line performance which of course is important to us. However I think there are 3 key reasons which resonate particularly strongly. Firstly it gives us access to a broader talent pool and we need lots of talent particularly in our emerging geographies. Secondly it ensures that our consumer base is reflected in our organization. After all how can an organization respond to the diversity of its client base if it’s not diverse itself? Finally, diversity is critical in both innovation and problem solving, only when you get a truly diverse group together do you manage to solve complex problems and find new solutions. By drawing on other people’s experiences and ideas you get new sources of inspiration – how exciting is that! Which diversity initiatives do you have in your organization? Currently we have a specific focus on increasing the number of female leaders we have in our organization and we are focusing on those functional areas which are traditionally more male orientated like Sales, Supply and General Management particularly because the research shows that when you can see people above you that look like you, you are more likely to have go yourself. So in addition to identifying women with strong leadership potential and making sure they have the right development plan in place we are also providing mentors. The other big initiative is to build a more inclusive leadership style through a series of workshops and interventions – we have chosen to start with the Petcare leadership team as we believe role modelling from the top will be critical to success going forward. We then plan to cascade those elements of the program which get the most traction. What would you like your employees to take away from LEAD? The focus of LEAD on Retail and CPG is unique in Europe. Personally, I think this offers a great opportunity for our associates to broaden their perspective and bring the outside world into Mars. The local roundtables and the annual events are fantastic way to establish a network, advance associates skills and take an active role in advancing women in leadership. 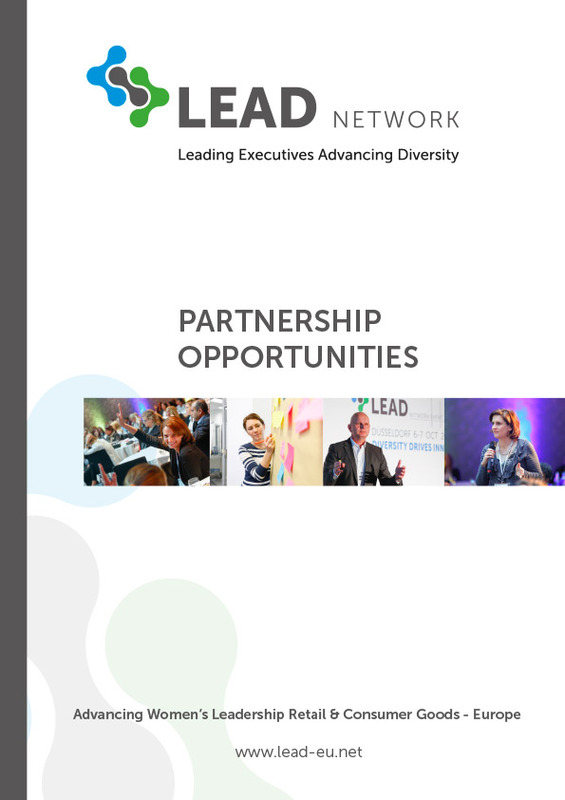 Beyond that, it’s beneficial to have thought partnership of others in the industry who care about diversity and inclusion. It’s important to see what other organizations are doing and to share our practices as well.